Deep Blue Professional Solarmax 18W T5HO Lamp 10000K DAY 20 Powerful, 10,000 Kelvin Daylight T5 HIGH OUTPUT fluorescent lamps ideal for both freshwater and marine aquaria. Triphosphor fluorescent for excellent color rendition. Simulates tropical daylight for all purpose illumination. Universally sized and compatible with most T5 HO lamp systems. Low profile, space saving design. Use with high power electronic ballasts for efficiency and extended service life. Deep Blue Professional Solarmax 18W T5HO Lamp Actinic 03 20 Powerful, Actinic 03 Blue T5 HIGH OUTPUT fluorescent lamp ideal for supplementation in reef aquaria and coral enhancement. 100% blue phosphor that peaks at 420nm. Provides light vital to healthy growth os photosynthetic corals.  Simulates the blue hue of deep water. Universally sized and compatible with most T5 HO lamp systems. Low profile, space saving design. Use with high power electronic ballasts for efficiency and extended service life.